Do you have a catalog? Yes, we do have a small catalog with most of our items listed. If you would like to request a catalog please email customercare@1800shavedice.com. Can I place an order over the phone? Yes! Simply call us directly at 1-800-Shaved-Ice (1-800-742-8334) to speak directly with one of our customer care reps. We can take your order directly over the phone or answer any questions that you may have. We are available, Monday - Friday from 9 am to 5 pm EST. If you get our voice mail, feel free to leave a message so that we may return your call as soon as possible. Is it safe to use my credit card? Absolutely, shopping at 1-800-Shaved-Ice.com is safe. Every credit card purchase you make at 1-800-Shaved-Ice.com is backed by our 110% Safe and Secure Guarantee. 1-800-Shaved-Ice.com uses a Yahoo! Store on its secure servers. The checkout process uses SSL technology to encrypt and scramble all personal information including your name, address, and credit card information so it cannot be read by others over the internet. What forms of payment do you accept? Can I send a check or money order? We accept Visa, MasterCard, American Express and Discover through our website and over the phone. In addition, we accept checks and money orders drawn on a U.S. bank. Checks will require a ten-day waiting period before shipment will occur. What is your shipping policy? See our shipping policy here. Where do you ship from? Most orders will ship from our warehouse in North Carolina. Occasionally, we may have to ship certain items from other locations in the United States. Are your products sold in my area? Our products are only sold through our website. We do not sell from any retail brick-and-mortar locations. 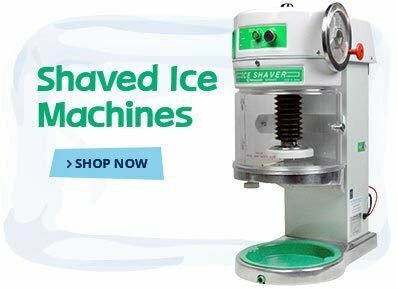 Do you sell residential shaved ice and snow cone machines? 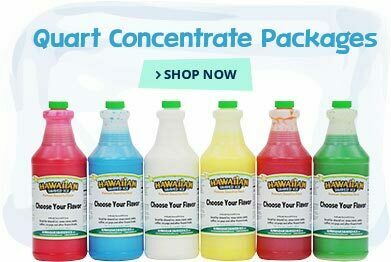 Please visit our sister website at www.HawaiianShavedIce.com for residential shaved ice and snow cone machines. What are your shipping rates? How do you charge for shipping? Shipping and handling costs are based on weight and location. Upon placing your order, our online software will automatically calculate your exact shipping charges based upon your address and the weight of the items you purchased. Where's my order? A tracking number will be emailed to you when your order has shipped. If for some reason you do not receive a confirmation email within 24-48 hours of purchase, please contact us. Do you ship Internationally? At this time we only ship to the entire United States and Canada. 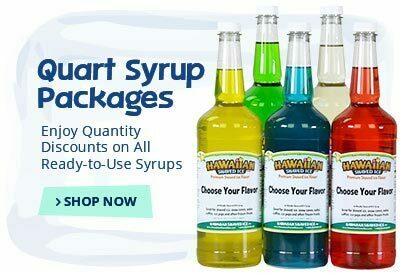 We can also ship to Puerto Rico, Guam, and FPO/APO address. If international shipping is needed, please contact us. What is the return policy? See our return policy here. What is the history of 1-800-Shaved-Ice.com? Visit our page about us! How can I cancel an order? If you would like to cancel an order please call us as soon as possible. We ship orders very quickly, often the same business day! If your order has been shipped, we will be unable to cancel the order and you will be responsible for returning any items that you did not wish to order. Do you have a minimum order? We do not have a minimum order amount for orders shipping to the United States. 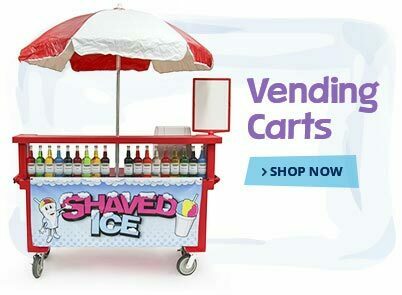 Do I need a business license to purchase products from 1-800-Shaved-Ice.com? Anyone can purchase from our website. You do not need to be a business or have a business license. Many of our customers use our products for their personal use. I don't have a shaved ice business. 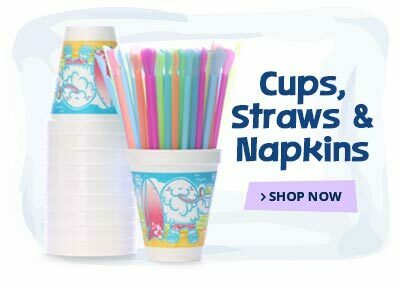 Can I still purchase from you? Can I establish an account? 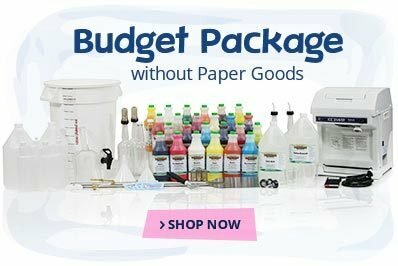 Do you accept Purchase Orders? We occasionally accept PO accounts for schools and government agencies. Please call us for additional information.